NCS Ambassadors are highly successful young professionals who have recently graduated from the best universities, so have previously been in your position and know how to succeed. Like you, they are all from East London and have all been previously supported and guided by the same staff that now teach and shape the learning experience at The NCS. Their successes in their studies and subsequent careers has led them to want to give back to the communities that they grew up in; providing guidance and mentoring to those young adults making the same choices they once did. Expect real world advice from those who are now successfully living their dreams; from how to handle applications and entrance interviews, to studying and living abroad, to guiding you in choices that you can make now to aid your long term career. Why have you decided to be an NCS Ambassador? Why should students attend the NCS? What advice would you give students when choosing their courses? A Level Grades: French (A), Spanish (A), History (A), B for AS Economics. A Level: A for French, Biology & Chemistry. B for AS Maths. Currently working as a FY2 doctor at The Royal London Hospital doing neuro, A&E and renal. “It was not long ago that I myself was a 6th Form student; filled with ambition and surrounded by the expectations and aims that arise when studying for A Levels. I remember both the hardships and the moments of joy during this period, the memories and the experiences that followed. However, in the end, it all came down to one moment and I was left with a piece of paper in my hands; the results. This represents the critical period of a student’s life, where they realise whether they are one step closer to their dreams or not. The decision of where to study your A Levels can be life changing! “The common trend is for the most hard working and career driven students of Newham to join 6th Form schools and colleges outside the borough. The NCS offers an exciting opportunity for students in Newham to have the same, if not higher standards of teaching and facilities to assist their learning, in order to help them achieve the most competitive grades. There are exciting opportunities available to potential students, such as assistance with university applications and gaining relevant work experience, summer schools, workshops/tutorials and many more. “The subjects chosen for A Levels are vital as they ultimately determine the career pathways that are both available and most suited for individual students. It is important to take into consideration the topics that are most enjoyed, whilst also understanding the job prospects that would be accessible from the chosen courses. Having an awareness of the field you want to go into is ideal. However, if this is not currently apparent, it would be beneficial to undertake some career based research. This would allow students to gain information regarding the different fields available and help determine the most attractive; whether that is Medicine, Research, Law, Economics, Journalism and so forth. University: City University, London: In third year of Optometry BSc. “With a tailored style of teaching, the Sixth Form will ensure that students are given maximum support for their degree and career aspirations. This is a hard combination to achieve. The NCS understands that they are not only preparing high achieving A-Level students, but the leaders of tomorrow. This means that students will leave the NCS having acquired key skills necessary for their chosen industry- whether that be the sciences, technology, law or banking. The link the Sixth Form has with leading firms in key industries will help students gain a practical insight into the world of work; an opportunity that is rare to find! Above all, the school will run a mentoring programme, including students like myself, who have attended leading institutions and are willing to pass on our experiences of the University admission process to NCS students. Sessions will be run to help students gain a greater understanding as to what their degree entails, key skills required, and how to approach daunting tasks like the personal statement, interviews and admission tests. A Level Grades: Economics (A*), Government and Politics (A*), English Literature (A) and Mathematics (A). “Having been highly impressed by its unique vision, which includes becoming the ‘Oxbridge Hub’ of East London, I can confidently say that the NCS is not going to be an ordinary Sixth Form for high achievers. The calibre of the facilities and the teaching staff speaks for itself. 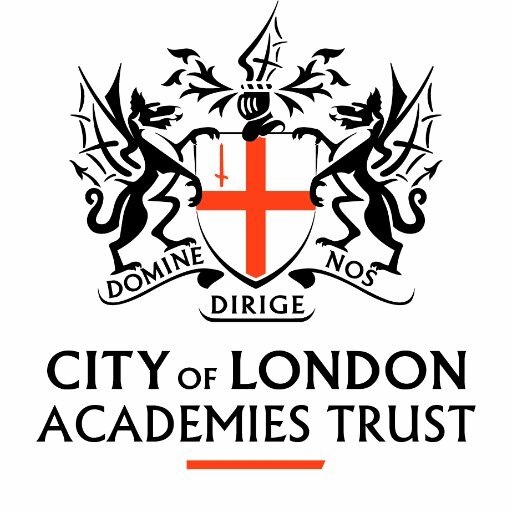 Furthermore, there is a vast array of extra enrichment on offer which includes links with leading corporate firms, help with BMAT and UKCAT entry exams, University Preparation Programme and sports. These are all things I dreamt of as a sixth former! “Ive been lucky enough to have the support from some of the teachers who will be working at the NCS and between their teaching and mentoring I have achieved so much more than I would have without it. Higher Education: I am hoping to take a year out next year to do an intercalated master’s degree in Medical Education. “The NCS has the staff and skills needed by young students to be able to help them make incredibly important decisions about their careers. The NCS has the expertise to help students get into university, and also guide them towards a career pathway that they will love and enjoy. “Take your time in making a decision and always choose subjects you find interesting, particularly if you are still undecided about what you’d like to study in the future. That way, you’ll enjoy your two years at sixth form, and go on to study a degree you thoroughly enjoy. University: 3rd year medical student at Queen Mary University of London. Higher Education: I am also hoping to take a year out next year to study an intercalated MSc in Experimental Pathology. “There are two main reasons why I have decided to be an ambassador for the NCS, a) wanting to give back, and b) remembering what it was like being a student during sixth form. In relation to a) I can safely say that being able to go on the journey I have been on, from growing up in North London, to going to the best undergraduate business school in the world, to working at a rapidly growing Silicon Valley start-up, wouldn’t have been possible without the support that many others have given me. Be it my family, friends, teachers, colleagues, there is something to be said for providing support to those who need it, as you never know where it can take you (for me it took me to the other side of the world!). As for b) it was very hard being a student applying to US schools, simply because it wasn’t the prototypical path and there wasn’t any example for a student who had done it before at my school. Even though, my sixth form provided me great support through the process I always remembered saying “It would be amazing if there was a student I could speak to, who was once in the position I was (applying to US schools), so I could pick his brain and know what to expect. 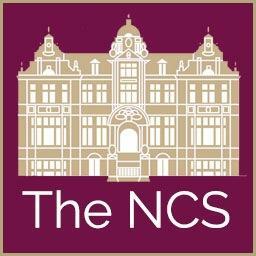 “The NCS really looks like a Sixth Form that is focused on the students first and foremost. From the great leadership at the school (whom I have been previously taught by and can personally vouch for), to the great resources and facilities you have, it seems that the NCS is determined to go above and beyond for students, which is something that all schools can’t say. In addition (and I am a little bias) the NCS seems to be a Sixth Form which encourages students to think outside of the box, by presenting them options that they may have never thought about before. “Two major pieces of advice, a) learn what you’re excited about and b) if you have an idea of what you want to do going forward in university, gear your subjects towards that. The first thing to realise is that two years of studying three or four subjects is a long time! Alongside other extracurricular and personal commitments, it can make studying something which is tough and difficult. With that in mind it’s important to learn what you’re passionate about, as otherwise it can make studying feel like a chore, which isn’t the best experience. “There are so many things I wish I had known years ago when I was going through this process. I think the key is knowing what is expected and required of you early. I didn’t know anyone who had trodden this path before me and it’s daunting when you start. “It’s OK not to know what you want to do with the rest of your life right now. I didn’t know either. Whether you know or not, make sure you do your research. Talk to people who work in the areas you are interested in, find out what qualifications are needed for those jobs – most will require a relevant degree, and those in turn will have certain A level entry requirements. If you don’t enjoy the subjects that your chosen career demands, think early about whether this is really right for you. Do you really know what this job involves on a daily basis? Make sure you’re picking something you want to work hard at. “Having grown up in the East Ham area, I knew the difficulty in finding a Sixth Form which would provide me with the learning environment that I yearned for. When this opportunity to help Newham students came along, I jumped at the chance. “Be as informed as possible. If you are 100% sure on the profession you would like to enter then it is important to choose subjects that will allow you to enter this profession. If you are unsure on the profession you would like to enter (don’t worry I was like that too! ), I would suggest choosing a wide range of traditional subjects that not only plays to your strengths but also those you enjoy. University: BA (Hons) Social Anthropology, SOAS University. Current Position: Senior Programme Co-ordinator, The Social Mobility Foundation. University: University of Warwick Math Mathematics. I also hope to do a year abroad in Spain in my third year. Work Experience/Internships: Credit Suisse, Deutsche Bank, Morgan Stanley. Current Role: Expense Accountant at QBE European Operations. Currently a member of ICAEW, studying ACA. “I have always been passionate about education and empowering people to achieve the best that they can. Having been to school in Newham, I have always felt attached to the area and saw first-hand the many hurdles my friends and I faced throughout our educational careers. During the three years I have spent at university so far, I have noticed how under-represented Newham and the surrounding areas are in the student body. Why is this? What is stopping all the bright people I went to school with, who wanted to be studying at a top university, reaching their goals? 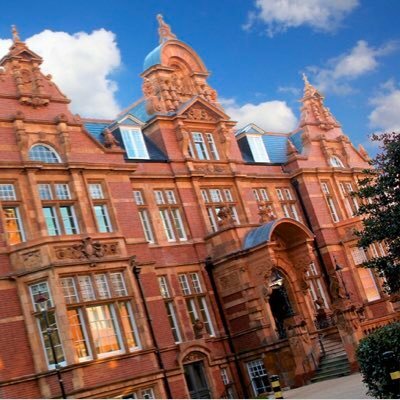 The answer to these questions may be very complex, but one area that I highlighted is the lack of alumni support for students in Newham; as a sixth former wanting to study medicine, I simply did not know anyone who had experience with applying to the degree of my choice, or to the university of my choice. “The educational environment created by the institution that you attend has a colossal impact on your achievements and enjoyment of your course. The NCS is creating a success-orientated, focused and supportive environment for the students so that they may achieve to the best of their abilities as well as enjoy their time studying their A-Level subjects. “I hold firmly to the idea that when you have learnt something, it is incumbent on you to share it with others. I remember when I was in year 12/13 the thought of choosing my A levels and then subsequently my degree was daunting. There were several questions I asked which really helped me choose, these were; what are my strengths, what are my weaknesses and what subject do I truly enjoy? I feel that as an NCS Ambassador I can guide students, prevent them from making similar mistakes and hopefully reduce any worries they may hold about A-level studies/university. “When I was applying for sixth forms, in year 11 I remember wishing for a decent sixth form right here at home in Newham. Unfortunately there wasn’t at the time and I was forced to travel for 40 minutes everyday, which became tiring. But now there is an opportunity for students to go to the NCS. The NCS has great potential to be one of the best sixth forms in London and allow students the opportunity to excel in their education. “The NCS will provide the students of Newham the opportunity of choosing a credible sixth form in their local area. It will allow students to choose an excellent sixth form, which has an outstanding set of capable and caring teachers who will help them achieve their potential. I can say this, as a few of the teachers I know are going to be teaching at the sixth form. With such a great team of teachers who are committed to a student’s education, the pupils can thrive in an academic environment and excel academically, and later on in life. A great set of A-levels will provide a strong foundation for the future. “Choosing subjects for A-levels can be confusing and decisions can be made in haste. I remember not to long ago when I was choosing my A-levels, and unfortunately I was one of the students who, to meet deadlines just put down a subject for the wrong reasons. At the time I didn’t feel I had someone to support me through this process and as an ambassador I hope to provide this role for students. A-levels are the foundations on which the future of a young person’s life will rest upon. The results that are obtained in these two very short years will provide the opportunity for a person to enter a degree of their choosing. For these reasons it is of the utmost importance to choose A-level subjects which the student really enjoys, but also ones that the student is good at, so the highest levels could be achieved. “I vividly remember a conversation I had with the Principal of the NCS during my final parents’ evening of high school. He told me that the following two years would be the toughest I would face and that it was crucial to remain focused and driven. He helped me recognise that the people around me were no longer the benchmark for success; it was in fact the entire nation and I was in a competitive environment and to succeed I needed resilience, drive, ambition and support. A-level exams are daunting in their own right but the importance of the decisions you have to make during those two years are equally burdensome. Here is where the NCS ambassadors step in. It is the job of the other ambassadors and I, to share our experiences during our A-level years with the aim of equipping you with all the information required to make sound judgements which are going to stand you in good stead. “Choosing your courses may seem like the be all and end all of your future. However, now on the other side of A-levels I can admit that I possibly made the wrong choices. What I’ve learnt from the A-level experience is that it’s more important to choose subjects that you are able to achieve highly in as these are the same subjects which you later develop a passion for. When choosing subjects, there is a fine line between choosing with your head and your heart. Since A-levels I’ve always gone with a philosophy of choosing with my head which eventually has been the key to a happy heart. “As a keen community activist, a Newham lover, and someone who believes in the power of education, I have taken the decision to become an NCS ambassador. 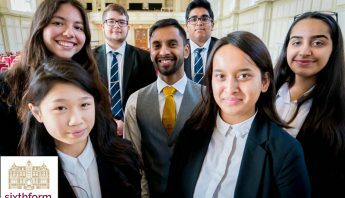 Too often, we hear of students from “disadvantaged backgrounds,” and it is this idea that I look to combat as an NCS ambassador to prove that students in Newham are some of the highest achievers there are. The sense of community spirit, belonging and an excellent student ethos is what attracted me to become an NCS ambassador. When hearing that an A-level sixth form centre was to be opened in Newham, it made me very happy to know that a vibrant student ethos enjoyed in other Sixth Forms can now be found in our own home borough. There are the obvious reasons of giving back to a student body that I once made a part of, but more so I have become an NCS ambassador to help, offer advice and to try and inspire students from my own experiences. “There are two main reasons as to why I believe students should attend the NCS over any other sixth form centre. The first is the obvious commitment and dedication of the staff body. This is a commitment that is matched nowhere else, where teachers will be ready to support students throughout the entire process of A-levels. As a student I remember evaluating which sixth form will offer me the best teacher-student experience and it is this that students look at with most concern. Teachers at the NCS have a history of success in their field of teaching and therefore the teaching experience is made special for students. Diary Manager of the Rt Hon Stephen Timms MP. Secretary of the Little Ilford Ward. “Having attended Little Ilford School, Ms Yvonne Powell was my head teacher and she was fantastic, enthusiastic and a charismatic leader. I see the same values in Mr Ismail who has worked with leading companies and bodies to provide an excellent education service at the Collegiate.